New year, new eyeshadow (?) Well, this isn't a new eyeshadow. I bought this waaay back in 2014, took these photos in 2014, but well, life happened so it's only now I got to blog about this! 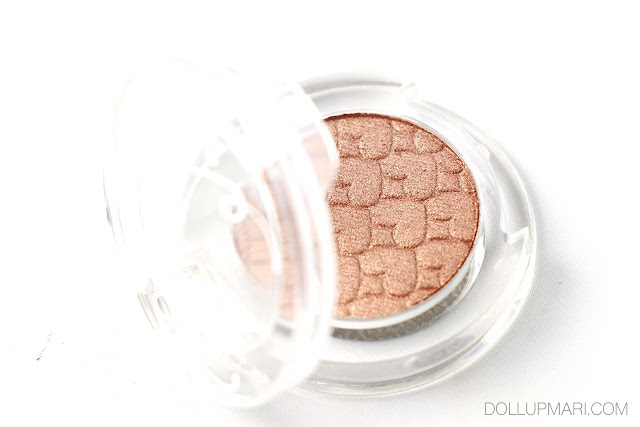 This is Etude House's Look At My Eyes eyeshadow single in BR402. 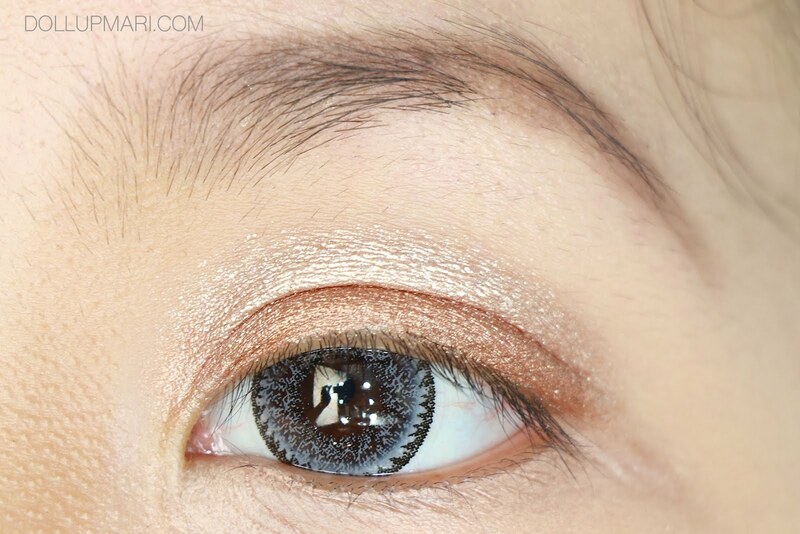 I bought this as a consolation prize-ish thing, because I was at Etude House and fell in love with BR401, which is a glittery taupey mocha brown. To my extreme sadness, it was not available and the sales staff forgot to keep the tester! I think you are all aware about the trucking issues that affected all businesses that involve importation at the time. But well, past is past, so here I am to talk about this shade, which is equally as lovely. 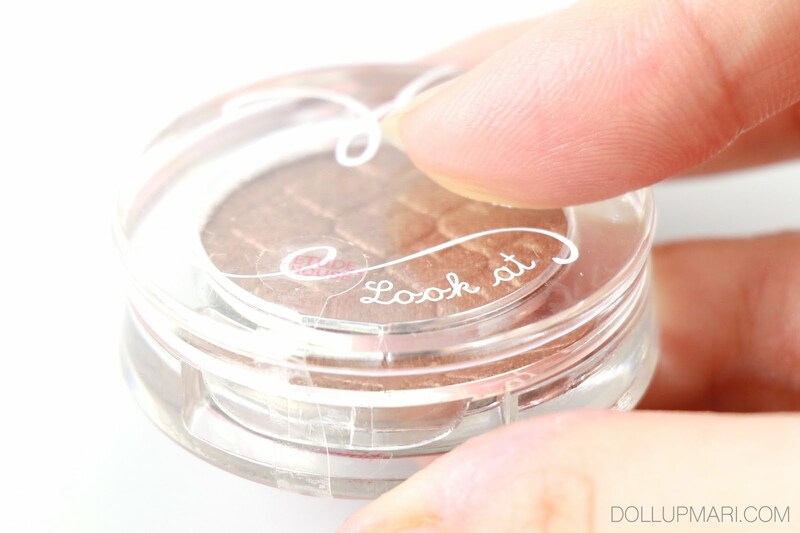 Just a PSA, every Etude House eyeshadow comes with a very conspicuous safety sticker. If yours doesn't have a sticker, be afraid, more so if you got your online. It could only mean that you got a fake one, or a tampered one. So yes, this is BR 402. I think it has a more special name in Korean (like BR-204 "golden sunset"), but I can't read the Hangul hahaha... 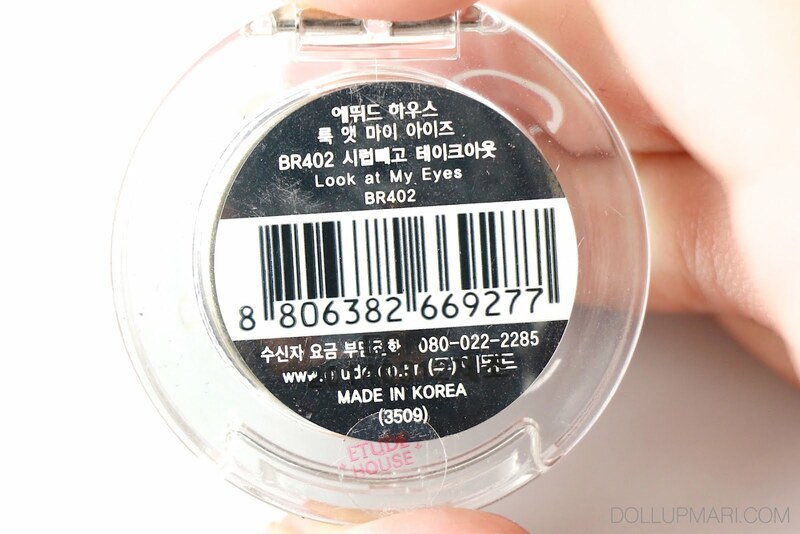 I can read very little hangul, and I can only identify the hangul for Etude House and Look At My Eyes. 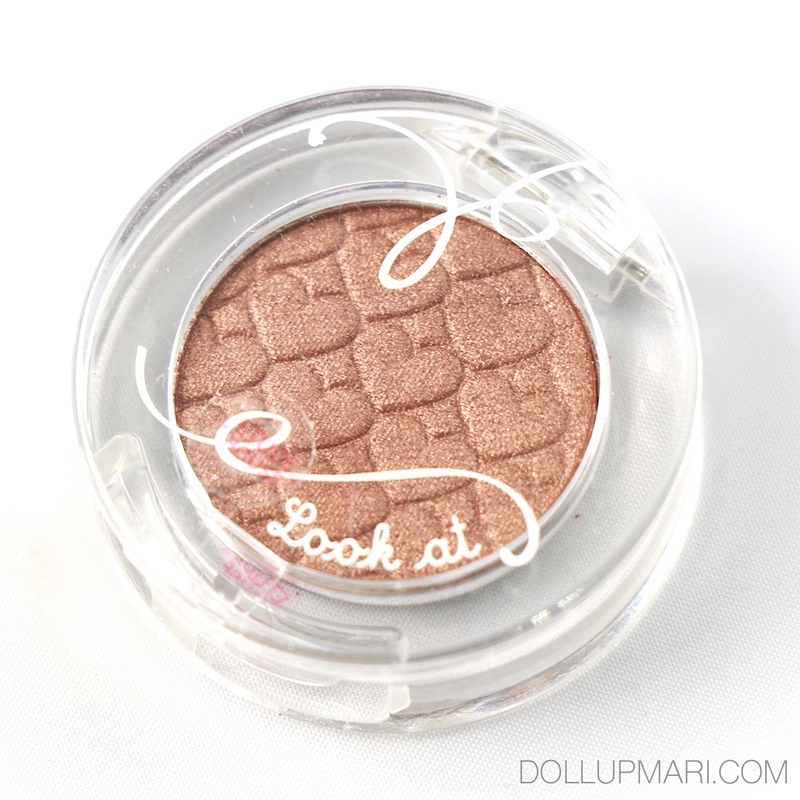 But nonetheless, moving forward, this is the eyeshadow's face. I always like buying Etude House eyeshadow singles because of the heart design. I don't care if the hearts will eventually fade after months of use, I just like it hahaha. I also recommend this eyeshadow single for the people who can settle with one or a few shades because the packaging is very sturdy. This is not my first Etude House eyeshadow single, and I've seen all my previous ones get dropped, hit, and everything, in the years, but I don't have cracks in any of them. 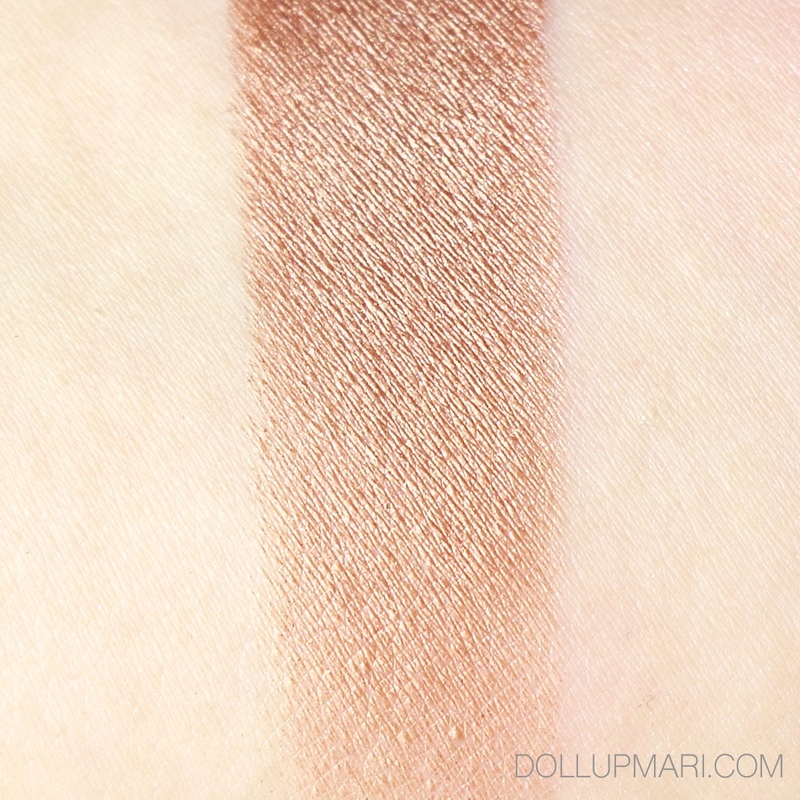 So this is the swatch. It's got a metallic texture with some microglitter. Just some microglitter. 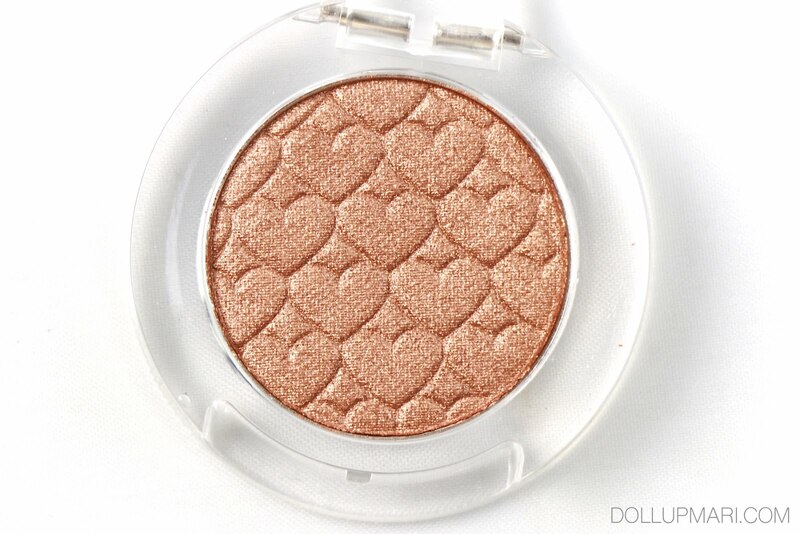 It's not chunky like their pure glitter shadows and it goes on silky smooth. The color itself, I'd say is a light bronze color with more yellow undertones. It's not as dark as what one would usually visualize a bronze should look like, but it's also not red like copper. So I'd call this a golden-bronze shade. For a little demo, here's me after using my Play pencil 6 as eyeshadow base. 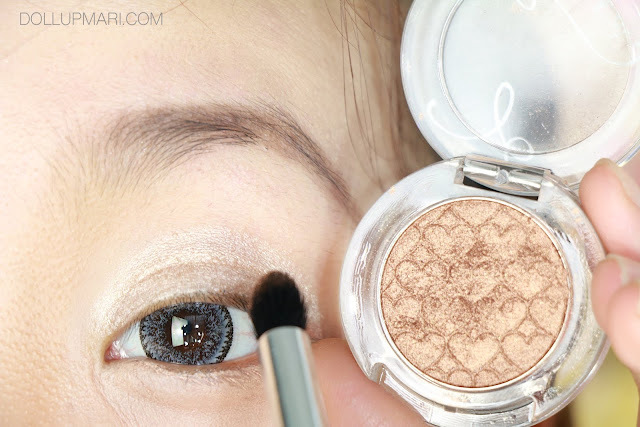 This eyeshadow shade doesn't really need a base because it's silky, pigmented, and with good color payoff, unlike Etude House's glitter shades that need some help. But I just like to use it. So yeah. I'm using a typical pencil brush here, and I'm just going to apply it on the eyelid area from lashline up until the crease. And this is the result. It's generally a very wearable color for many occasions and usages, and appropriate for everyday use. Since it's metallic, I do think that this will show up properly on most skintones. I'm not sure if it's just me but I thin I got this for Php198 in 2014 (???). I checked the website now and it's Php228 a pop. But yeah, if you're buying it from here on, it's Php228 a pop.